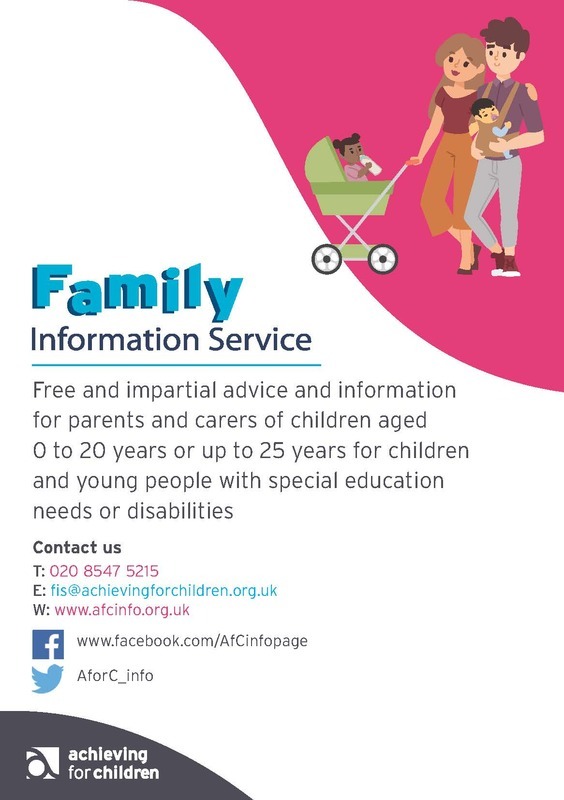 The FIS offer a telephone and web service, providing information for parents, parents to be, carers and professionals to help support children up to their 20th birthday or 25th birthday if a child has a disability. Information about childcare in Kingston and Richmond such as registered childminders, nurseries, preschool playgroups and out of school and holiday care. A brokerage service for parents who need support when looking for childcare places. Information about help available to pay for childcare. Advice about Early Education Funding for 2, 3 and 4 year olds including the 30 hour childcare offer. Activities for children including toddler groups and leisure and play activities. Support groups and parenting information. Career opportunities in childcare and play work.